The Epionce Lytic Gel Cleanser is a powerful treatment specifically developed for oily and combination skin types, working to eliminate the root causes of breakouts and instantly refresh. The ultra-lightweight formula utilises an EpiK™ complex of natural extracts to unclog pores and remove makeup, with Willow Bark helping dissolve dead skin cells and regulate excess oil production without disrupting the natural lipid barrier. Soothing Marshmallow and toning Menthol help promote a more even and balanced surface texture, optimizing skin for further treatments and enabling maximum absorption. Ideal for problematic skin prone to conditions such as acne, dermatitis and psoriasis, helping achieve a clarified and rejuvenated complexion. Water (Aqua), Sodium Cocoamphoacetate, Sodium Lauroyl Sarcosinate, Glycerin, Lauryl Glucoside, Sodium Cocoyl Glutamate, Sodium Lauryl Glucose Carboxylate, Acrylates/C10-30 Alkyl Acrylate Crosspolymer, Althaea Officinalis (Marsh Mallow) Root Extract, Butylene Glycol, Caprylyl Glycol, Citrus Aurantium Dulcis (Orange) Fruit Extract, Coco-Glucoside, Disodium EDTA, Ethylhexylglycerin, Glyceryl Oleate, Hexylene Glycol, Lavandula Angustifolia (Lavender) Flower Extract, Limonene, Linalool, Menthol, Phenoxyethanol, Phoenix Dactylifera (Date) Fruit Extract, Salix Alba (Willow) Bark Extract, Sodium Hydroxide. The Lytic Gel Cleanser is my new favorite. I love to let the foam stay around 30 second on my face and then wash it off. It gives a soft and refreshing skin. I used lots of product that claimed helping acnes and improving skin condition in short period of time, yet most of them failed to meet my expectations . 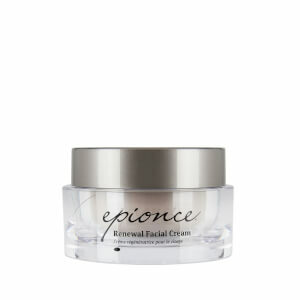 Somehow I needed to find derma doc to help me and he recommends Epionce. My skin really gets healthier with less irritation and redness , my acnes only come back with my periods where much controllable than before.